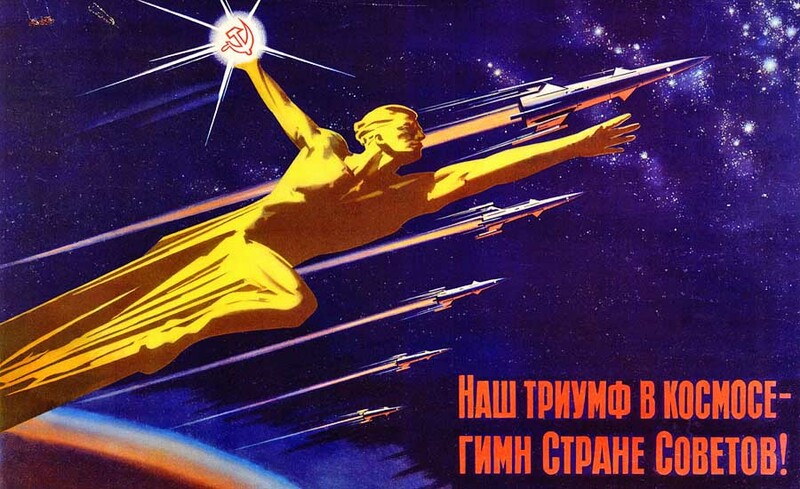 There is still much debate about why the Soviet Union – which was consistently way ahead in the early days of space exploration, failed to beat the USA to putting a man on the Moon. But while there is some disagreement over which factors were the most important, there is considerable consensus about which factors drove this. 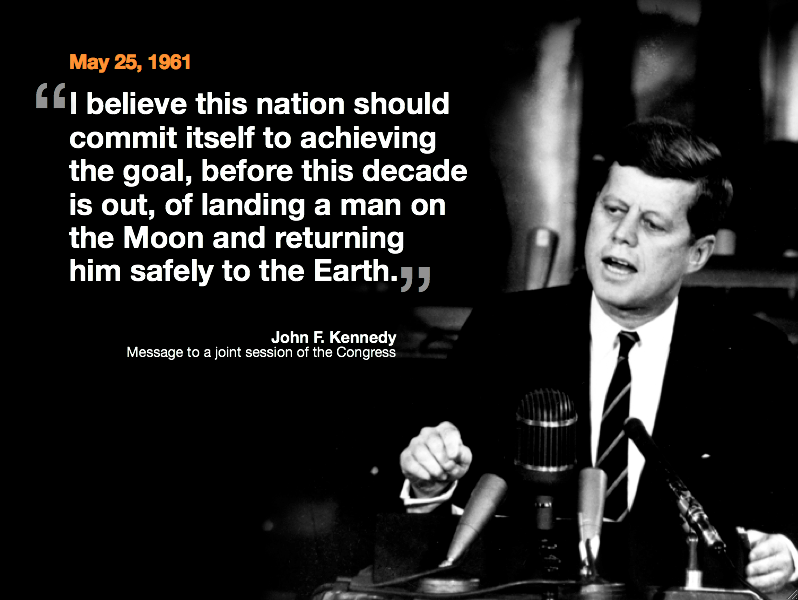 The USA made putting a man on the Moon the key national objective, from before they had even put a man in orbit. Pretty much the entire space program focused on this objective. 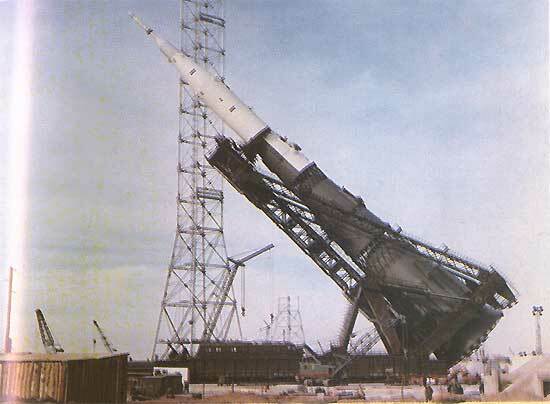 By the time this became a national objective in the Soviet Union, 2 years later, time was very tight to develop a powerful enough rocket, and get the required expertise in flight systems. Also, at the time the speech was made, the Soviet Union was so obviously far ahead, they did not take the US intention seriously. 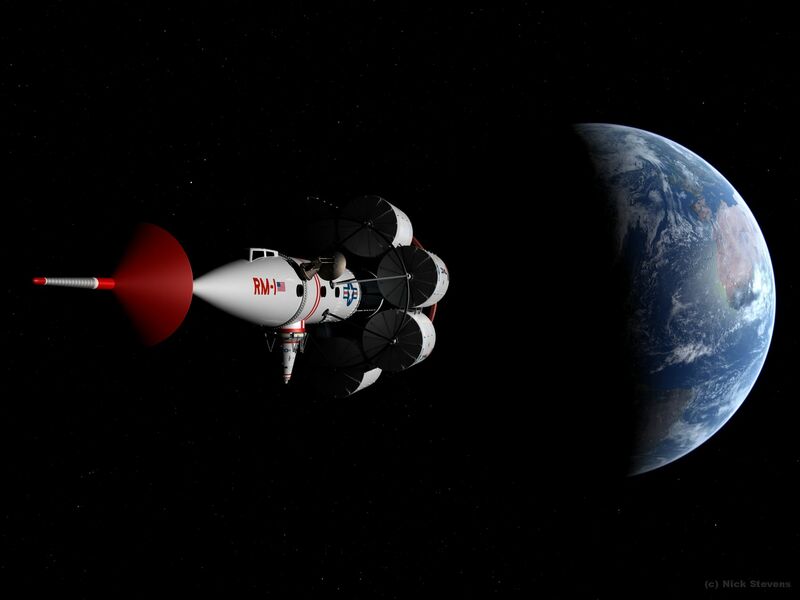 Author adminPosted on September 16, 2016 Categories History, Soviet & Russian craft, spacecraft, Spacecraft ConceptsTags apollo, lunar, manned, moon, N-1, rocket, space race, spacecraft5 Comments on Why did the Soviet manned Lunar program fail? Identifying the different N-1 variants. Identifying N-1 variants. I mentioned this briefly in an earlier post, which featured some images I stitched together from video, but here it is in a bit more depth. You are generally trying to distinguish between 5 different N-1 variants in photographs, the four that flew, and the weight model. This is most easily done via the colours, though there are several other differences. 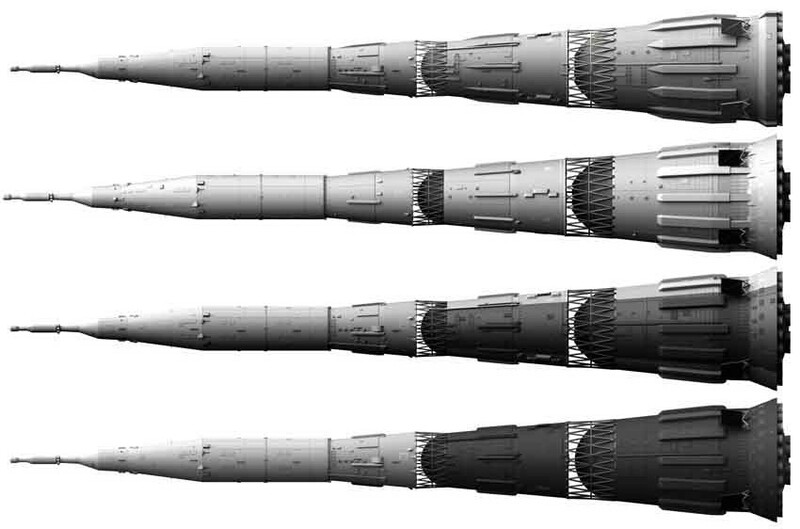 This post is not about ALL the differences between the variants, just about how to tell which rocket is which. This is easy to identify, as it is the only one with entirely grey first and second stages. 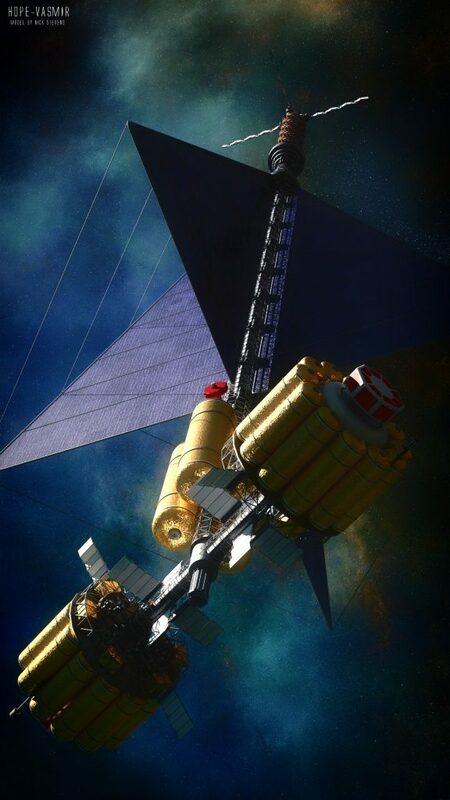 The third stage is half white, with the white part facing upwards on the transporter, which is the side away from the gantry once the rocket has been erected. It was transported to the pad in winter, and there are photos of it with snow on. Note that there was no green on any of the N-1 variants! This is a widely held misconception, as many museums show it as green, (including the London science museum, and many Russian museums too). Olive green was only used to camouflage missiles, (and green would make lousy camouflage in Baikonur at the best of times). This error has spread to the point where photographs have been tinted to make them look green). And sometimes it was just poor quality film stock. Author adminPosted on September 14, 2016 September 14, 2016 Categories History, Lightwave 3d, Real Spacecraft, Soviet & Russian craftTags lunar, manned, moon, N-1, n1-3l, N1-5L, N1-6L, N1-7L, rockets, soviet, spacecraft2 Comments on Identifying the different N-1 variants. 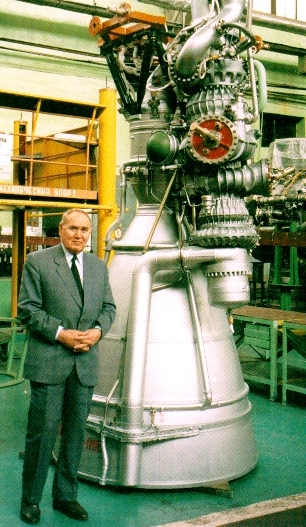 The NK-33 engines were originally built for the Soviet Moon Rocket, the N-1. (Under the designation of NK-15, and NK-15V for the high altitude version). 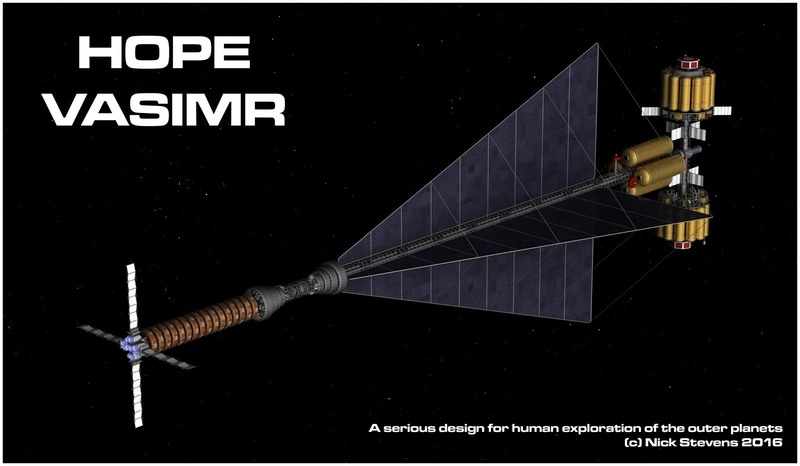 This design was a direct result of a blazing row between the Chief Designer, (Sergey Korolev), and the best rocket engine designer, Valentin Glushko. Glushko wanted to use propellants which Korolov considered far too dangerous. So Korolev turned to Nikolai Kuznetsov, who up until that point had only designed engines for jet aircraft. 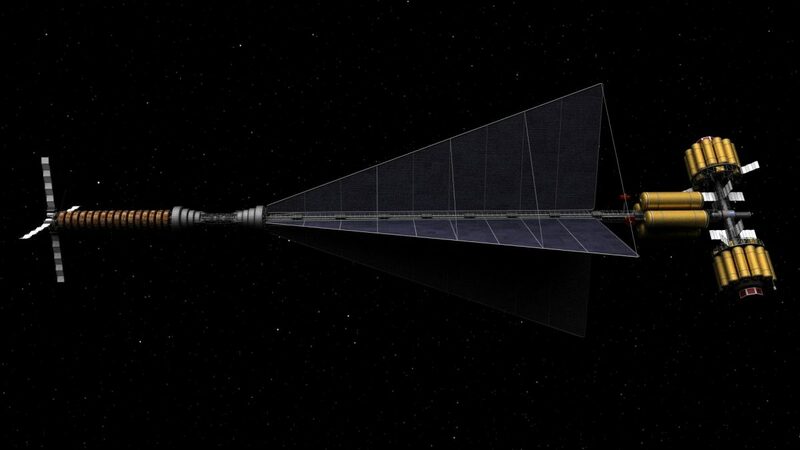 Large rocket engines are notoriously difficult to design, due to combustion instability, so they were pretty much forced into a large number of smaller engines. Many consider this a key reason for the failure of the N-1 program. Unseen N-1 reference photos. Part 1. I was dithering over what to title this N-1 post. New photos? Not exactly new, as they are based on old video, and (in most cases) stitched together from video that panned around. Anyway, here are some photos I put together from video. If you are interested in the Manned Soviet Lunar program, it’s worth following Roscosmos on YouTube – they seem to be slowly restoring and releasing the various bits of N-1 footage at higher quality, and releasing it piecemeal in the items on the history of space exploration. The quality of these photos is highly variable, (by which I mean that some are awful! ), but given the shortage of N-1 references, I hope they will prove useful. 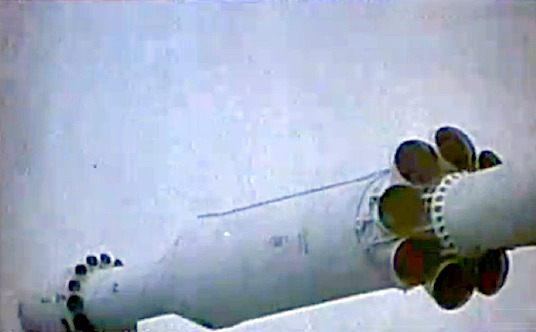 Let’s start with the banner image, showing the L3 (upper) section, of the N1-5L This is a pretty good shot of the farings that cover the parts that would reach the moon. Note how the exhaust holes near the tip are two different sizes. 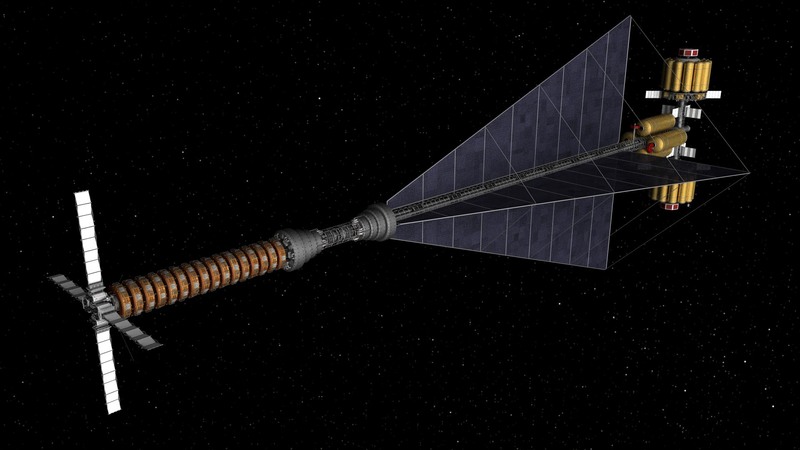 This is so that, if it is used, it will carry the crew to one side, and away from the main rocket. Author adminPosted on September 12, 2016 September 12, 2016 Categories History, Real Spacecraft, Soviet & Russian craftTags lunar, manned, N-1, n1-3l, N1-5L, program, sovietLeave a comment on Unseen N-1 reference photos. Part 1.